Craving rich and creamy but not the calories? Would you believe me if I told you that coconut milk is a good diet food? Coconut Milk has gotten a bad reputation for it’s high saturated fat content but that doesn’t mean it will make you gain weight. Research has shown that not having enough fat can make you fat. Crazy, right? The trick is to eat healthy fats like coconut milk and avocado. 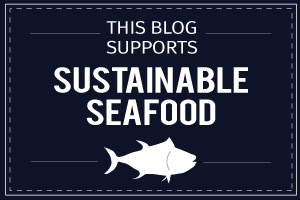 Fats help us feel satiated so we eat less and feel full longer. In addition, the fats in coconut milk and oil may actually increase our metabolism which increases our bodies’ use of calories. Coconut milk also provides nutrients that support our immune systems and heart health as well as giving us pretty hair and skin, and it tastes delicious too. Win-Win! Nothing hits the spot on a chilly day like a piping hot bowl of creamy soup. 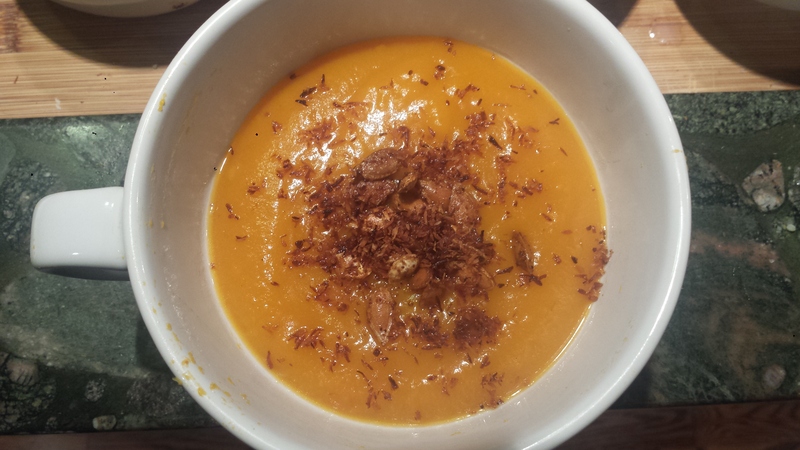 This soup gets it’s creaminess from coconut milk (you knew that was coming), which also adds a subtle but delicious flavor when combined with roasted butternut squash, ginger and red curry paste. I also love using winter squash because each is hiding a little treasure trove inside, their seed stache. 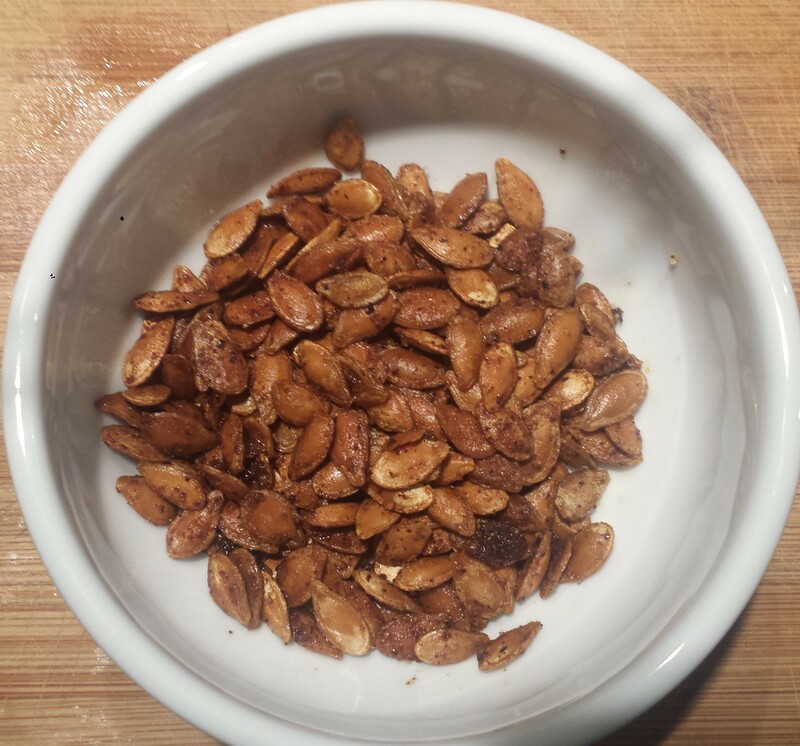 Pumpkin seeds get all of the attention, but they aren’t the only squash seeds that can be roasted. Other winter squash seeds like butternut, squash or spaghetti squash can also be roasted. So next time you’re roasting squash, roast the seeds as well and use them as a garnish or as a tasty and nutritious little snack. 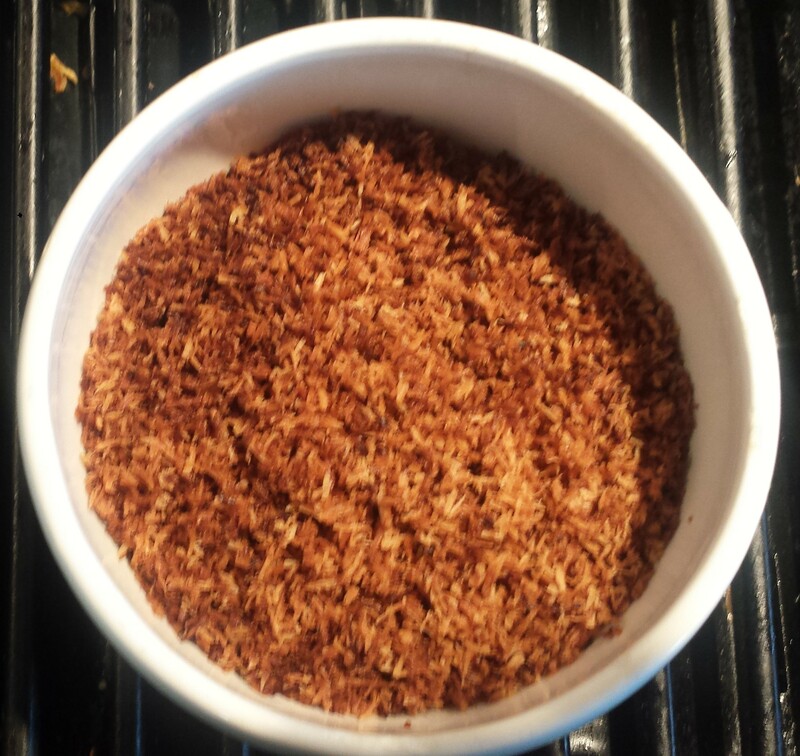 I roasted mine with olive oil, chili powder, cumin, curry, cayenne pepper and salt but you can use any spices you enjoy. You’ll be addicted! Preheat over to 400°F. Cut the squash in half lengthwise and remove the seeds. Brush the cut sides of the squash with oil and place cut side down on a baking sheet. Roast for 45 minutes to 1 hour or until very tender. 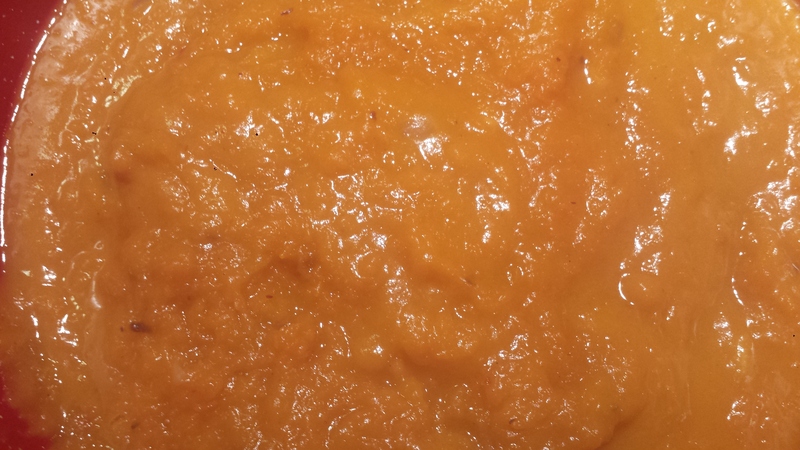 The squash should have a creamy texture. 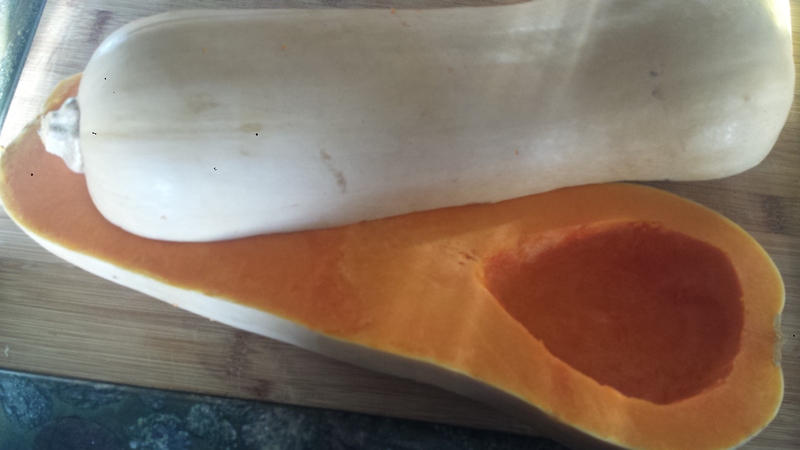 Once the squash has cooled enough to handle, scoop the flesh out of the peel using a spoon. 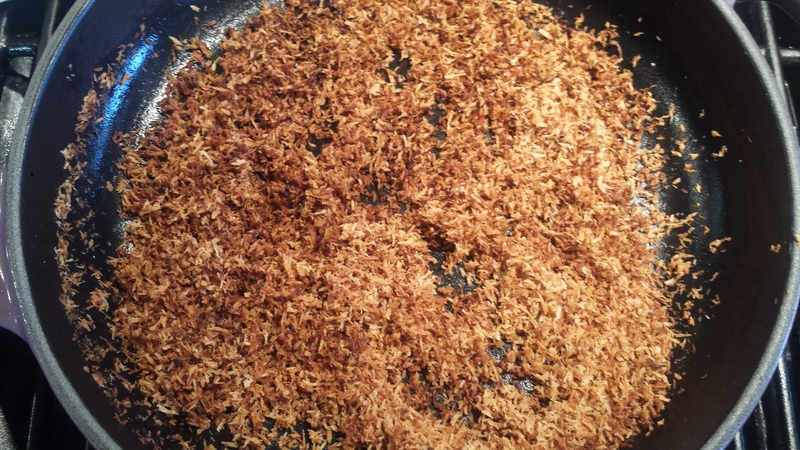 While the squash is cooking toast the coconut in a small pan over medium high heat, stirring constantly until golden brown, 3-5 minutes. Put in a small serving dish and let cool. Pick through seeds, if using, and remove any stringy bits. Rinse and dry with paper towels. Let air dry in a single layer on a baking dish. 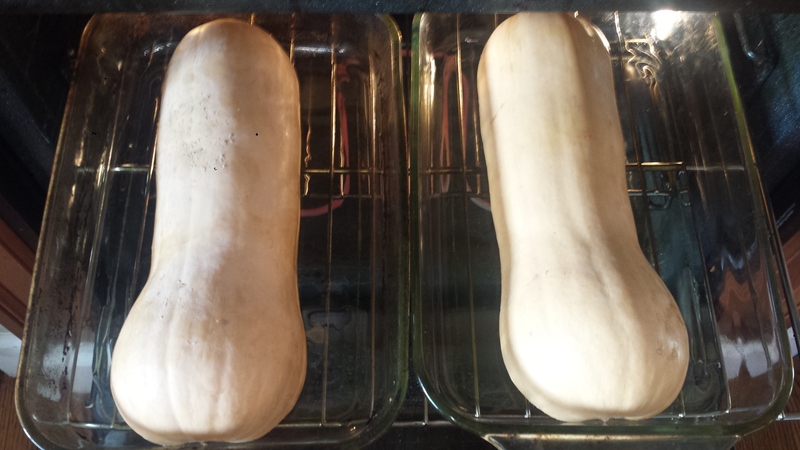 Once the squash has finished cooking, lower the oven to 300 and roast seeds by following the directions below. In a large stockpot, heat the oil over medium heat. 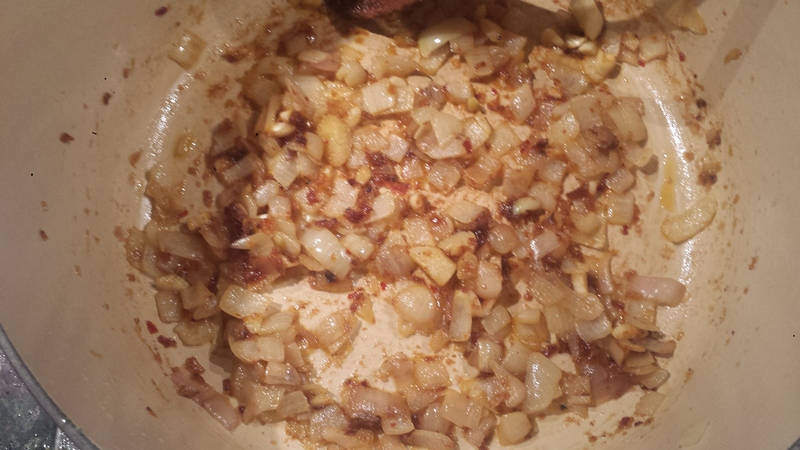 Add the onion, ginger and garlic and sauté until softened, about 5 minutes. Add the curry paste and cook until aromatic. 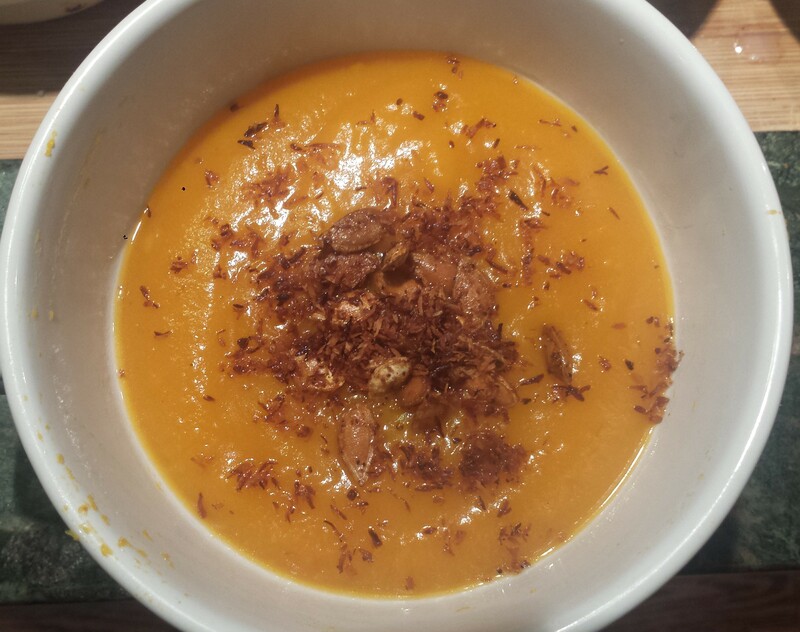 Stir in the vegetable broth, coconut milk and squash. Simmer for 15 or 20 minutes. Check seasoning and add salt if necessary. 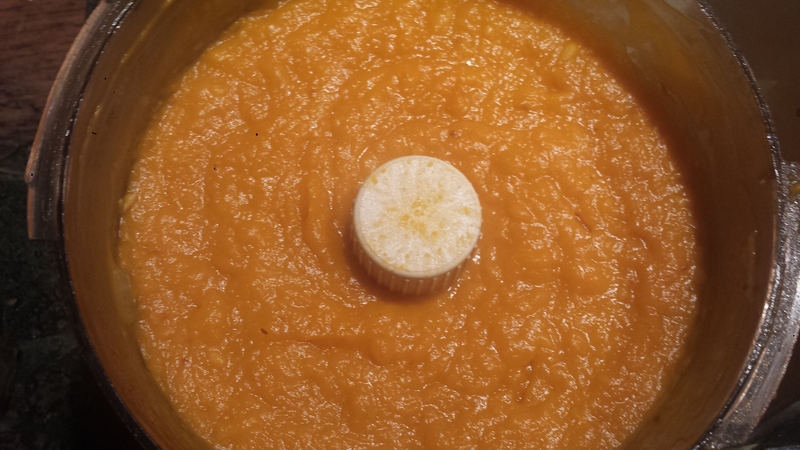 Puree soup with a hand mixer or in a food processor until silky smooth. You may have to do it in batches. 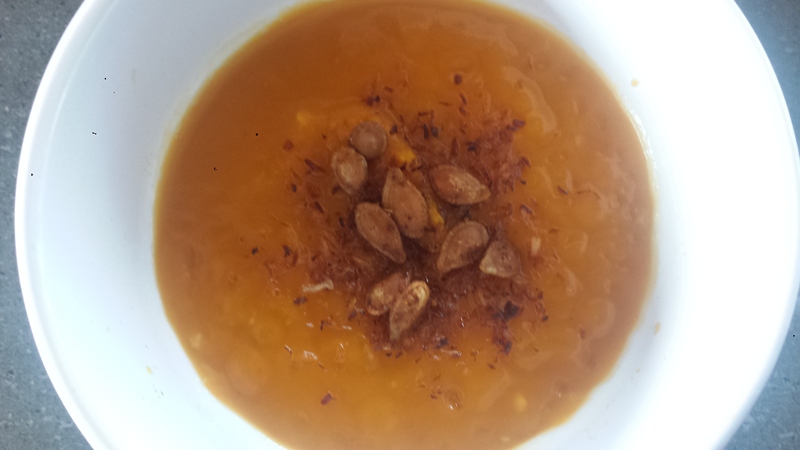 Serve garnished with toasted coconut and roasted squash seeds. Separate the seeds from the pulp, place in a colander and rinse thoroughly. Spread them out in an even layer to air dry. 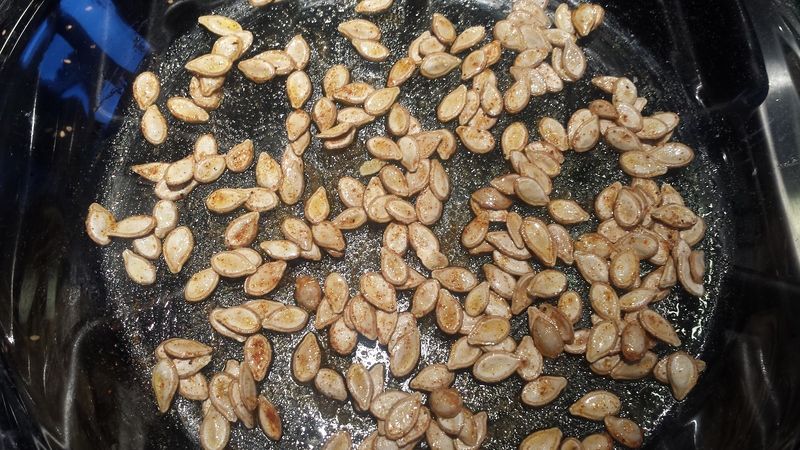 Seeds roast better when they are completely dry. Preheat oven to 300 degrees. Drizzle seeds with oil and sprinkle with spices. Toss to combine and spread in a single layer on a glass baking dish or a cookie sheet lined with aluminum foil. Bake, stirring occasionally, for 15-20 minutes or until seeds are golden brown. If seeds aren’t browning, increase oven temperature to 325 or 350 degrees but check every few minutes.